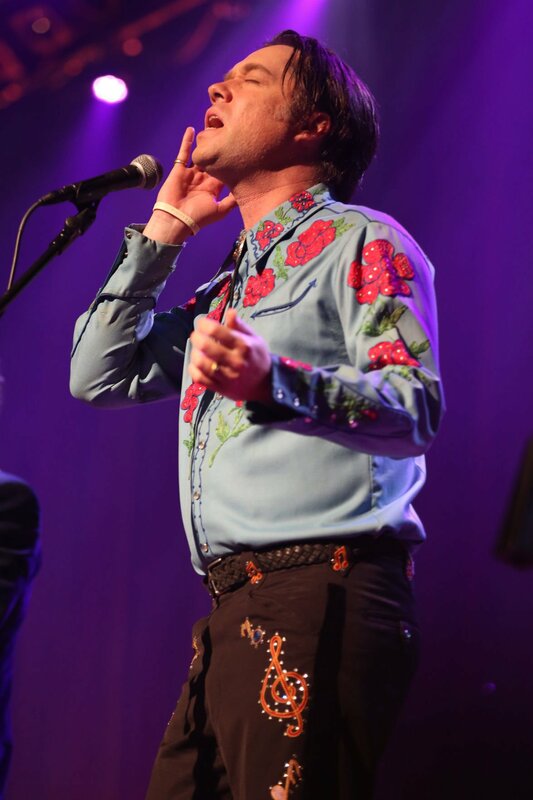 “Let’s make some art together,” Rufus Wainwright said near the top of his concert with the St. Louis Symphony Orchestra Friday night at Powell Hall. The American-Canadian singer-songwriter and the orchestra did just that, and before the show was over the audience would join in, too. But it was Wainwright who did most of the heavy lifting. Coming off a string of solo dates, he admitted to the audience that he was “quite nervous." “To come to this beautiful hall and work with this wonderful orchestra and this fantastic conductor (Lee Mills) was a bit shocking,” he said. If that was so, it wasn’t apparent in his performance, which was intimate, emotional and, in terms of his luscious tenor vocals, silky-smooth. But it may have come through in the song selection, which featured Wainwright performing by himself for more than a third of the concert, including more than half of the brief opening set. Even that worked in Wainwright’s favor, however. His well-crafted songs are suited to a variety of contexts: solo, in rock band settings, and of course, with orchestral accompaniment. When the SLSO joined in, the arrangements, many of them by Max Moston, felt organic and not at all grafted on. Wainwright began the evening with a bright, bouncy “April Fools,” which, he joked, sounded “like a Burt Bacharach song.” He followed that with “The Art Teacher,” an elegant, aching piece about a romantic crush. The orchestra accompanied “This Love Affair, “Vibrate” and “Who Are You New York?” but most of the opening set was given over to solo performances. They included “Beauty Mark,” which is about Wainwright’s late mother, folk singer Kate McGarrigle; “The Maker Makes,” which he wrote for the film “Brokeback Mountain,” and “A Woman’s Face (Sonnet 20),” from his 2016 classical crossover album, “Take All My Loves,” for which he adapted nine of Shakespeare’s sonnets. His new opera, “Hadrian,” he noted, will be produced in Toronto this fall. “Prima Donna,” meanwhile, is currently being staged in Germany. The orchestra added grit and gravitas to “Going to a Town,” on which Wainwright announces “I’m so tired of America,” calling the country out for homophobia. It was perhaps the show’s high watermark and earned a long standing ovation. Wainwright followed that with “Dinner at Eight,” a beautiful but cutting portrait of his father, singer-songwriter Loudon Wainwright III. He preceded an a cappella performance of “Candles,” another song about his mother, by talking about using gratitude as a response to times of tragedy and personal difficulty. He sat on the apron of the stage for the latter number, wishing before he sang it that he had chosen “The Trolley Song,” a more St. Louis-appropriate Judy Garland selection. A second encore brought out Wainwright’s famous take on “Hallelujah.” He hadn’t rehearsed it with the orchestra but invited the players to wing it and join in, which most of them did, sans conductor. The audience sang along, too, and as the song reached its final notes, Wainwright wryly added, “clang, clang, clang went the trolley” — pretty much the only time anyone will ever hear that line interpolated into Leonard Cohen’s ubiquitous secular hymn.